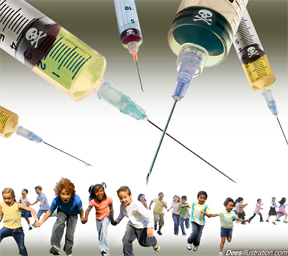 Read much more at What’s Behind Big Pharma’s Freak-out Media Blitz Over Measles? | Global Research. … as my fellow economists Paul Krugman and Joe Stiglitz have noted, the austerity programs are like medieval bloodletting. If you’re sick, they would drain the blood from you, and if you didn’t get better, they would say “oh, the problem is that we didn’t drain enough blood” and they would bleed you some more. That’s how austerity works. Exposing 9/11 is our most potent weapon. But of course that’s not a topic of polite discussion for fear of being called a conspiracy theorist. And so we are led to the slaughter like the sheep that we are.